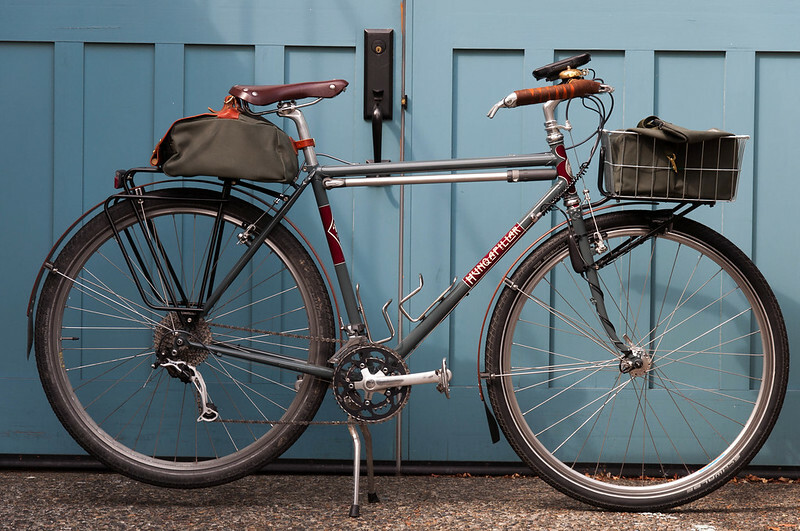 In another post, I talked about tires, but I’m also going to plug keeping your bike as light as you can for city/general fun riding. It really comes into play for me in hilly Seattle. I live on a hill and have about 900 feet of elevation gain on my ride home, with maybe 400 feet on the way in. This is where the weight hurts. Climbing can be fun, but if the destination is work or home, it’s just not like a touring destination to put up with extra weight. The Hunqapillar was pushing it in my comfort zone as it probably approached 35lbs in weight with the big back saddle bag, heavy lock, heavy Schwalbe Dureme tires, and double kickstand. 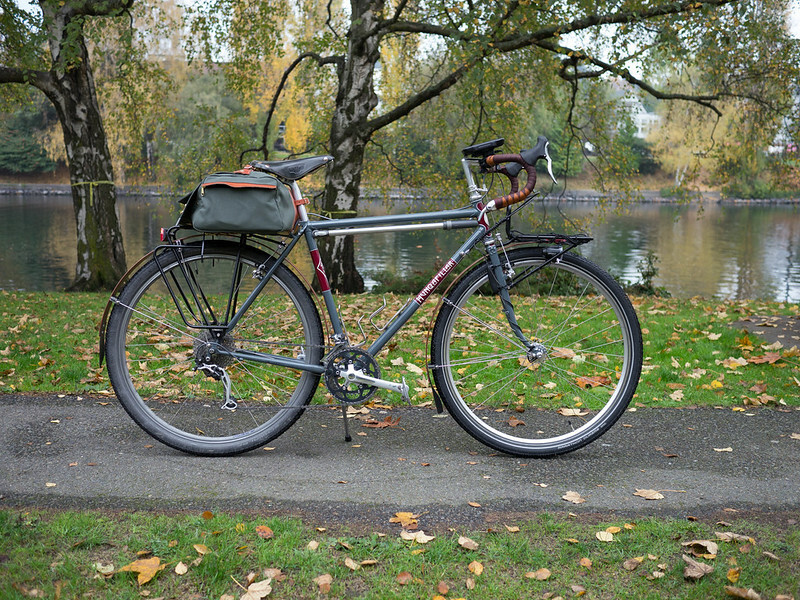 I also have a front and rear rack that adds some weight to the overall package. 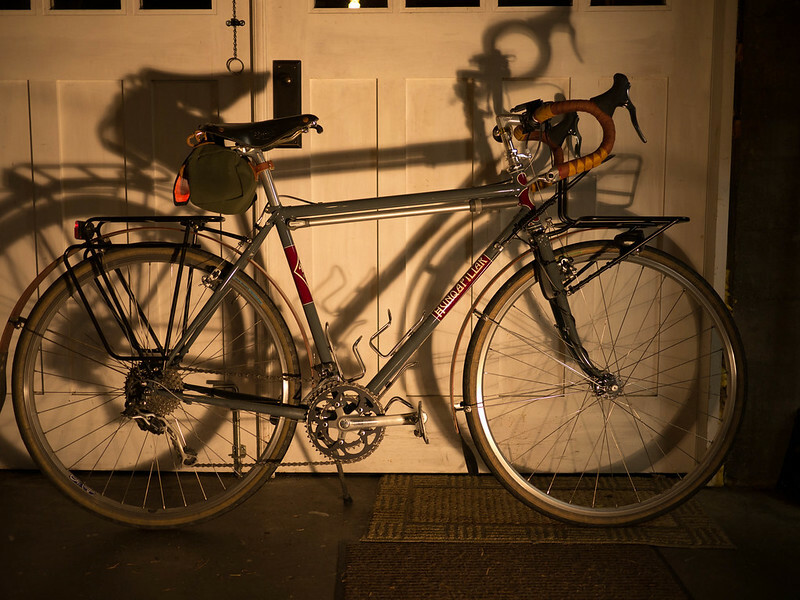 Now some of this I don’t want to give up – I like having the racks for unexpected loads, and the rear rack is the mount for my taillight. The bag and lock are not entirely necessary all the time. The tires are overkill unless I’m on the dirt mountain trails. It’s like carrying your loaded camping backpack with you when you take the bus to work. It may come in handy during an earthquake, but 99.999% of the time, it just makes you tired faster. Initial feel is that this made rolling along much easier and more fun for me. I had similar average speeds on my Hunqa and Hilsen for my commutes this week. I noticed that the Hunqa still feels more “solid”. I’m definitely not heavy enough to plane this bike without more weight on it. When I take it camping, or up in the mountains, I’ll put what I need back on, but for now, I’m happier with the Hunqa-lite….